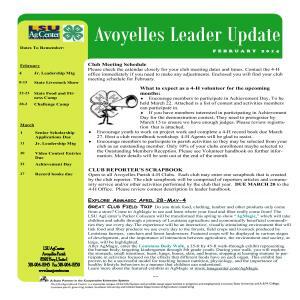 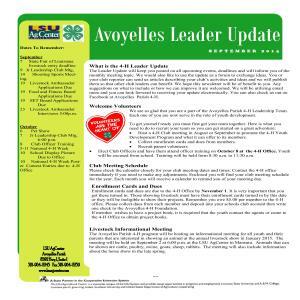 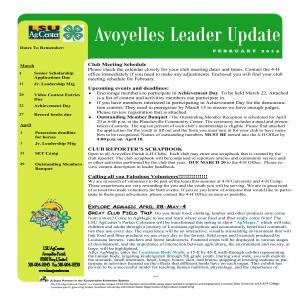 Avoyelles Leader Update, is a newsletter for the month to inform our Avoyelles Parish Leaders of upcoming dated to remember. 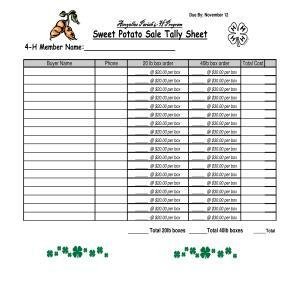 It will let them know of meetings, workshops, trainings, camps, and many other events we may need them for. 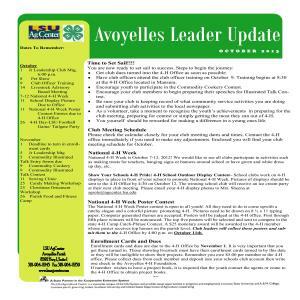 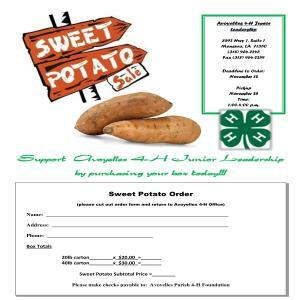 The Avoyelles 4-H Leaders are a big important part of the Avoyelles 4-H Club. 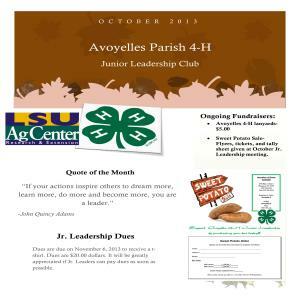 They not only assist in every workshop and event we have, but also do many fundraisers to earn money for the club.